People are always talking about rejecting and breaking stereotypes, and while that's lovely and profound in theory, in reality, it's pretty ridiculous -- there's totally a reason stereotypes exist. And that reason? Most of the time they're 100% true. Like, for example, these 17 stereotypes that people love to bring up about San Francisco and the people who live here. In fact, we’re the MOST liberal major city in the US. 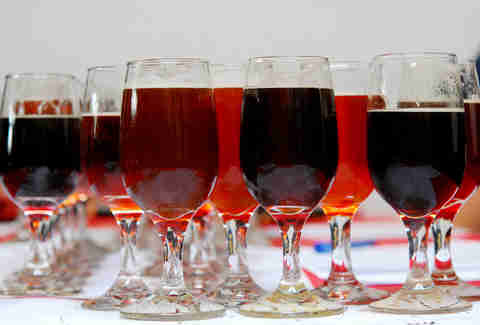 SF has 19 breweries and dozens of craft beer bars. Even our airport serves the good stuff. To be fair, it’s not our fault. We have to wear practical shoes (hills) and a lightweight jacket (fog) at all times. Plus, yoga pants are just so comfortable. Okay, so it’s our fault. Like, so much that we’ll wait in line for two hours just for some eggs. And mimosas. And four dollar toast. 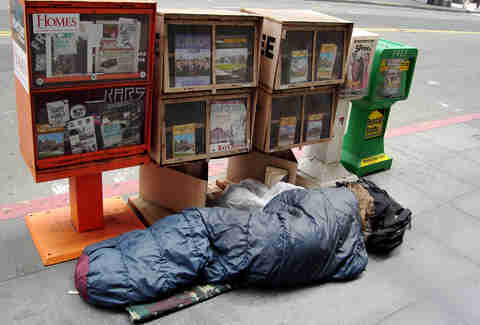 Last year’s count found 6,436 people living on the street. And, no, it’s not a situation those of us with homes take lightly. 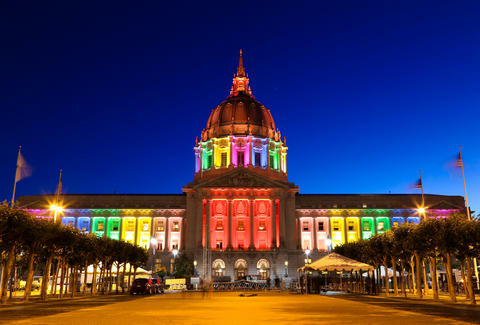 About 15% of San Franciscans identify themselves as gay, lesbian, or bisexual. AND we’re the world’s happiest city. So. Gay. 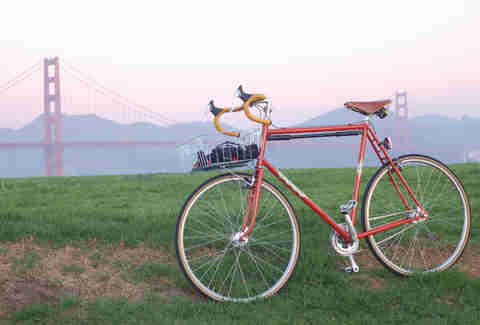 The SFMTA estimates about 128,000 bike trips are made each day in the city and that 16% of San Francisco residents ride their bike two or more days a week. And yes, a bunch of those people are doing so on fixies. Because San Franciscans are also a little crazy. Sadly, we didn’t all get rich when Twitter when public, but tech jobs do account for 19% of the total workforce in the Bay Area. And literally everyone has an iPhone. Which is why nearly half of the robberies in SF in 2013 were cell phone-related. Plans are not plans EVER with a person from SF. Unless you have a reservation at a super-hot restaurant and even then, you’ll need to send a confirmation text. And, no, you’re not allowed to get mad when someone bails at the last minute. At least not outwardly so. 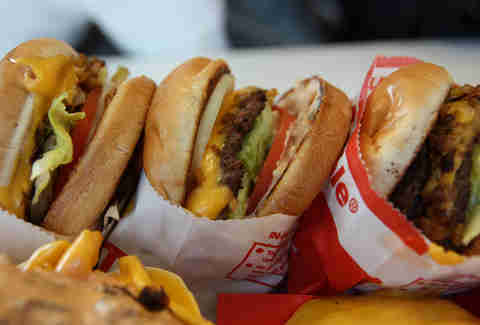 SF spends 42% less than the national average on fast food. Oh, and In-N-Out doesn’t count as fast food. Duh. We've got the most eateries per capita (IN YOUR FACE NYC), with approximately 21 for every 10,000 residents. And it’s not just because there are so many Republicans down there. Of course, the feeling is mutual; there have been more than 200 proposals to break up California since the state was formed in 1850. 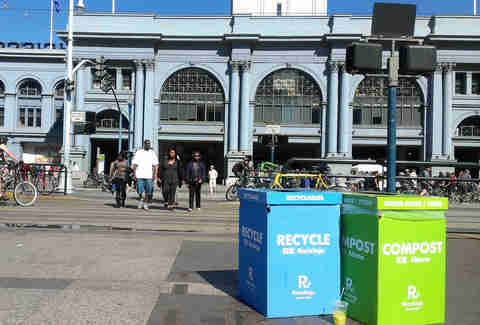 So much so that recycling and composting are mandatory and we’re trying to achieve zero waste by 2020. In fact, we were named the snobbiest city in the US. But we’re so snobby that we love it. But considering that only 37.7% of San Franciscans were even born in the state of California, can you blame 'em? 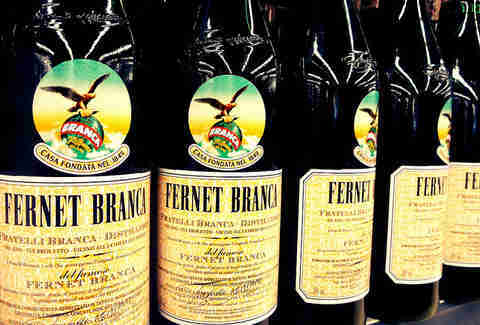 SF is responsible for consuming 35% of all the bottles of Fernet imported to the US. All of which we then recycle. Of course. Daisy Barringer is Thrillist's SF Editor and she truly believes nothing says you've given up on life quite like wearing UGGs. She owns four pairs. Follow her on Twitter @daisy.